I’m somewhat of an interloper on this blog. I often work with special collections material from MSSA, but I am based in the Humanities Collections and Research Education (HCRE) department in Sterling Memorial Library. 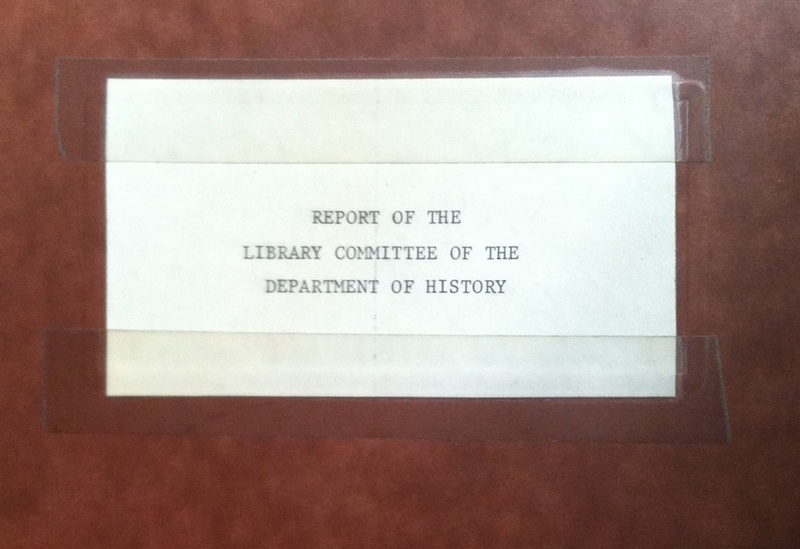 While going through an old filing cabinet in my office space, I came across an excellent find that will soon be available in MSSA – the “Report of the Library Committee of the Department of History” dated April 16, 1969. The 86-page report was a massive effort by Yale’s history department to offer constructive criticism to the library and to suggest ways that collections and policies could be improved. 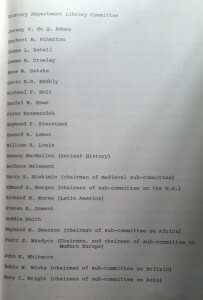 The history department created a committee of 23 faculty members (nearly one-quarter of the department in 1968-1969) that was further divided into eight sub-committees by area of study: Ancient, Medieval and Early Modern, Modern European and Russian, British, United States, Latin America, Asian, and African history. 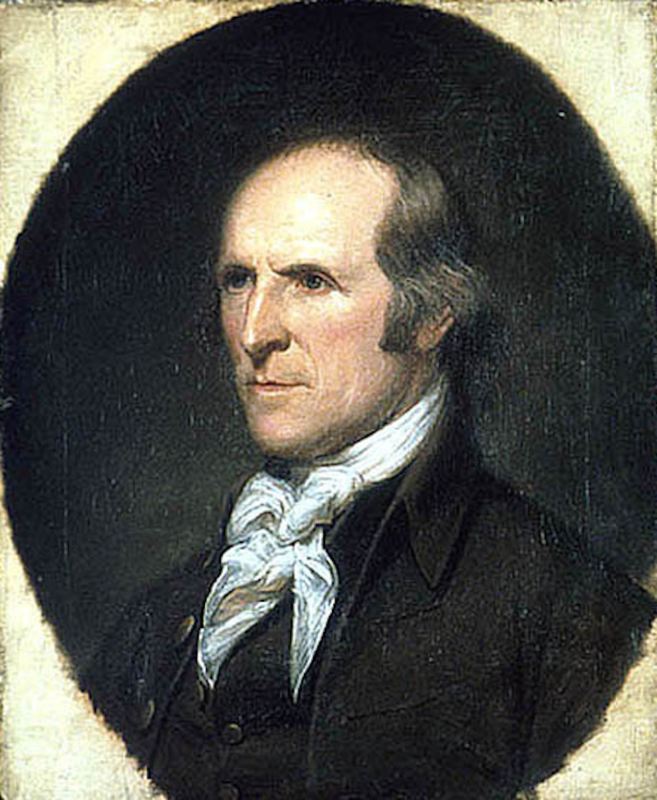 The committee consisted of both senior scholars and young historians and included many familiar names like Michael F. Holt, Daniel Walker Howe, Edmund S. Morgan, Howard R. Lamar, and Robin Winks, among others. The lone woman on the committee was the Mary C. Wright, the celebrated historian of China who was the first woman to gain tenure in Yale’s Faculty of Arts and Sciences. 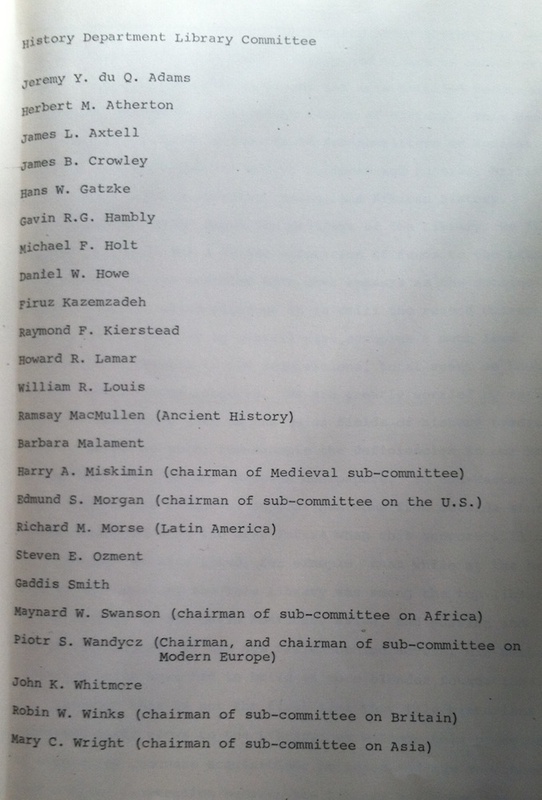 List of 23 members of the Yale history department’s library committee of 1968-1969. The committee made ambitious demands. The United States, Modern European and Russian, and Latin American sub-committees called for a doubling of collections budgets, exclusive of labor costs. Some sub-committees had specific numbers in mind. For example, the African committee called for $50,000 to backfill gaps in collecting (the African collections budget had been $15,000/year since 1963) and a $5,000 annual increase in the African book fund (pp. 84, 86). The Asian sub-committee called for nothing less than a $100,000 acquisitions budget for their area along with a demand “to stop the purchase of trivia, memorabilia, de luxe edition, and pretty books.” (pp. 78-79, quote on 79). While the Asian sub-committee worried about poorly made decisions by the library’s acquisition staff, some sub-committees were more concerned with lacunae. Ramsay MacMullen, chair of the Ancient history sub-committee, noted that at least one-quarter of the books published in Roman history since 1950 could not be found in the stacks (pp. 10-11). The report also noted gaps in the microfilm holdings of American, British, and Continental newspapers that were especially galling. 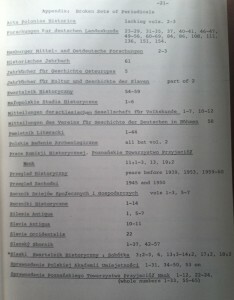 Partial List of Broken Sets of Periodicals for Medieval East Central Europe, 1969. But the historians thought books were the most important materials for the library. They wanted the library to purchase all publications from American and British university presses while paying greater attention to university presses around the world. That being said, the committee decried the gaps in serials and demanded retroactive buying. The library was also called upon to collect the papers of all major national and federal governments in the world. 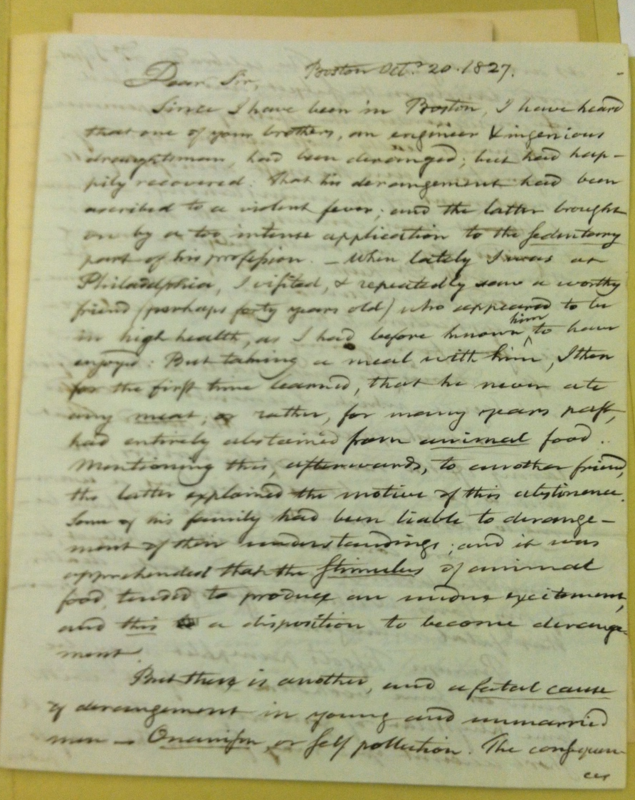 The committee insisted upon a slow down of deaccessioning and and the need to accept all gifts – claiming that space issues and their costs should not trump the value of the collections. 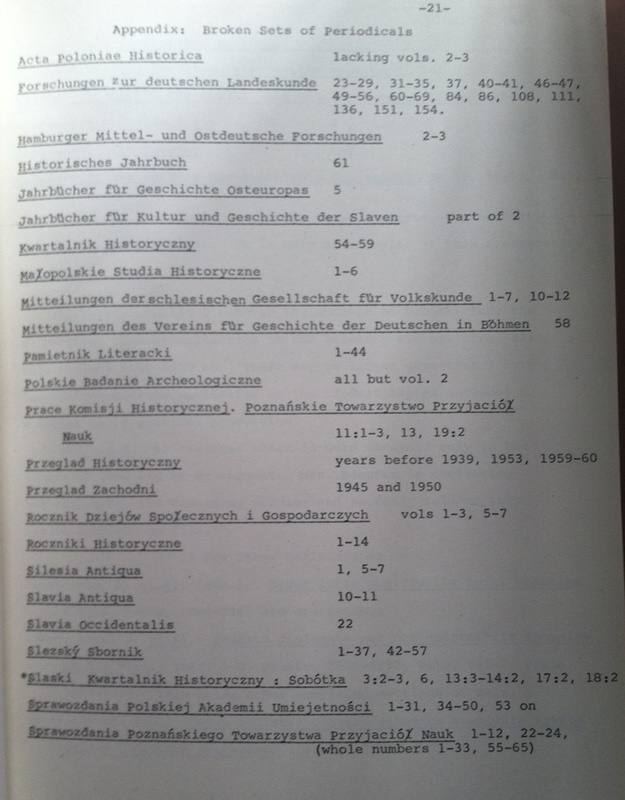 In addition, the historians expected cataloging and cross-referencing had to be improved, the essential core of material for every history field had to be purchased regardless of current faculty interest, and better listings of special collections had to be created. The demands were immense, and while I can’t say what came of this report at the moment, one has to assume it was an impossible agenda to carry forward in full. Things have certainly improved since 1969 – for example, the library can gain electronic access to just about any academic journal in the world if it is willing to pay. Also, Yale has massive collections of newspapers on microfilm and in electronic form, especially improving the gaps in Midwestern newspapers the United States sub-committee mentioned. Filling in the periodical and newspaper gaps has become easier. The easily accessible online used book market makes retroactive book purchases easier, although not perfect. But some of the problems still remain. The cost of library materials keeps growing, as does their diversity. Today the library has to manage the cost of e-books and print books. In many cases, the print version comes out first and the electronic version appears months later. If an institution goes e-preferred, how does it manage that lag time? At Yale, and no doubt elsewhere, use of e-book packages far outstrips the circulation of print materials. The yearly content updates for Project MUSE’s UPCC and Oxford’s UPSO add new strains to budgets that were not contemplated even five years ago, but it’s clear from usage data that we must continue to support those purchases. We’re currently between two worlds and being forced to duplicate purchasing and it will be increasingly difficult to sustain. Collection budgets in the humanities are also feeling pressure from the increased subscription costs of science and medical material. How can the library sustain the ever-rising increases of scientific publishers and keep up with the materials in the humanities? The numbers are startling. According to Robert Darnton, the average subscription to a chemistry journal is now over $4,000. It was $33 in 1970. In 2012, the Journal of Comparative Neurology cost $30,860 (click here for citation). But even humanities journals can be crushingly expensive. Some electronic subscriptions to history journals can reach into the four-digit realm. Beyond those budgetary pressures, the library has to deal with the purchase of humanities databases from the big six (ProQuest, Readex/Newsbank, Gale Cengage, Alexander Street Press, Adam Matthew, EBSCO). These databases are often extraordinarily powerful, yet costly – and in most cases carry yearly maintenance fees that can be high. Licensing agreements, along with their associated costs, also have to be managed. To say nothing of the cost of the purchase and preservation of the raw data from databases required by those in the digital humanities (some publishers/companies provide their raw data for free, while others have associated fees). And more and more databases keep being produced. 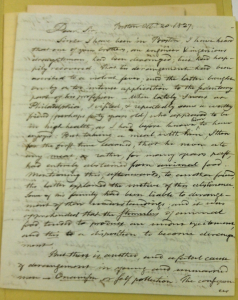 Dozens of small and medium sized collections and archives are now scanned in full and offered for sale each year. For example, Gale Cengage offers digitized archival collections in their database Archives Unbound and they could conceivably keep doing this perpetually. ProQuest has History Vault. Adam Matthew has entirely digitized the Gilder Lehrman Collection, an important collection of Americana on deposit at the New-York Historical Society. When do we say enough is enough? Should we be spending less on databases and more of our funding on rare and special collections materials that differentiate our collections from other institutions? Yale’s history department currently does not have a library committee. 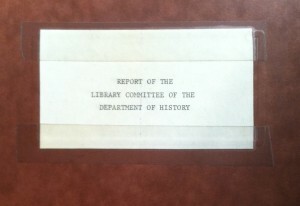 It’s fair to say that a new document like the 1969 “Report of the Library Committee of the Department of History” would be immensely helpful to not just history, but the humanities as a whole at Yale. I know I would read a 2015 report avidly. Masthead for _Right_ from August 1957. 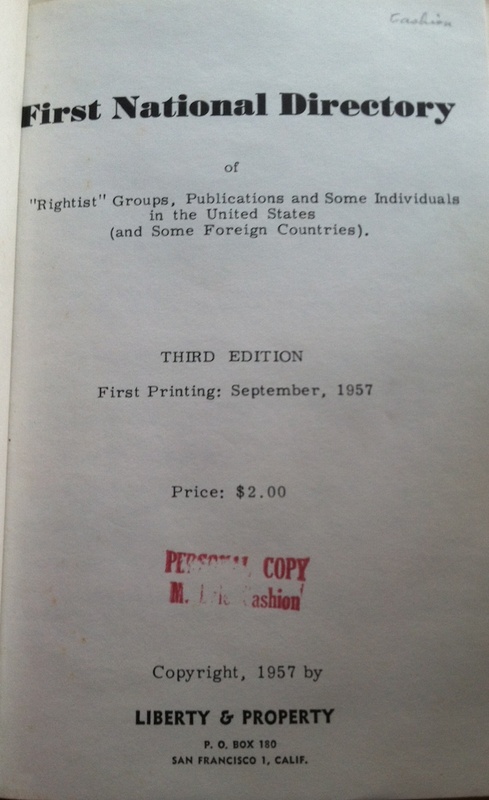 Yale University Library has recently acquired a full run of Right: A Monthly Bulletin of, by, and for the American Rightwing, an ephemeral newsletter published by Liberty & Property, Inc. of San Francisco. 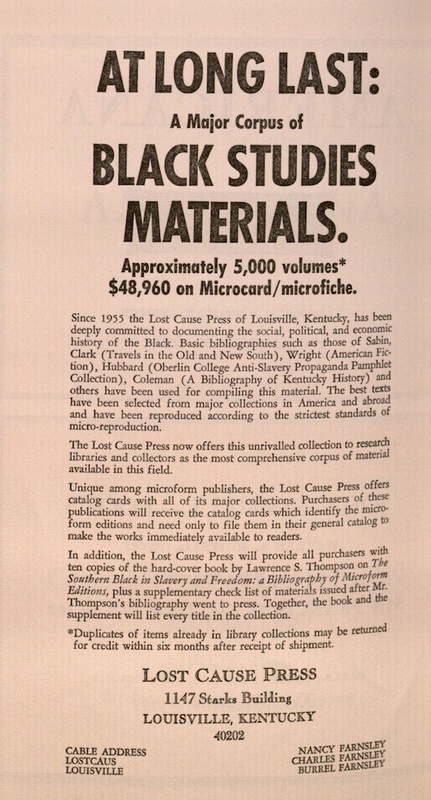 The newsletters, which date from October 1955-Sepember 1960, are bound together in a quarto volume that includes other pieces of ephemera, including nine tracts created by the publishers of Right, a 1957 directory (with a 1960 addendum) of right-wing groups in the United States, a recruitment flyer for the Northern League: A Society for the Preservation of the Ethnic and Cultural Heritage of the Nordic Peoples, a booklet by Bela Hubbard titled The Hybrid Race Doctrine, and a three-part essay titled Cultural Dynamics. _First National Directory of “Rightist” Groups_. 3rd edition of 1957. Previously owned by M. Lyle Cashion, who was an oil worker in Houston Texas in the 1950s. He gathered together the materials in this volume. The purported author of Cultural Dynamics, E.L. Anderson, was really Willis Carto, who was also the driving force behind Right. Carto founded Liberty & Property, Inc. with the white supremacist Aldrich Blake in 1953 and has been involved with a variety of right-wing groups while managing a large network of right-wing publications and broadcasts for the last sixty years. He might be most well known for founding Liberty Lobby, a right-wing advocacy group he dominated from 1958 until 2001, when it went bankrupt, as well as his virulent antisemitism and denial of the Holocaust. 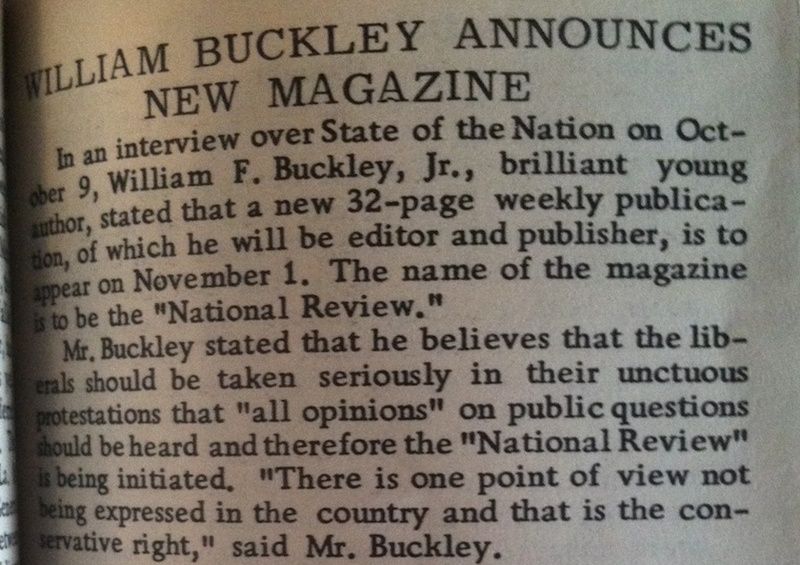 For its first year, the publication appears to have been typed and copied for subscribers (who paid $3/year) and had very few images or graphics. After November 1956, the newsletter takes on a crisper look and feel and contains more imagery, diverse fonts, and stories set off in boxes. Each newsletter was four to six pages and has a vertical fold, since it was sent in a business-sized envelope to subscribers. 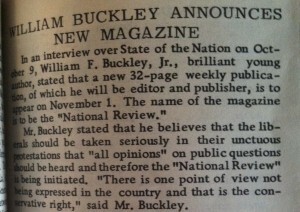 Announcement of William F. Buckley’s _National Review_ in the first issue of _Right_. This volume will be available to researchers to use in Manuscripts and Archives after it is processed and cataloged by the library. If there are any questions about this volume, please direct them to david.gary@yale.edu.